On the 8 July, we were at the out centered French Business School ESSEC talking about Social innovation and civic engagement. More precisely, the aim of the Mid-Term Conference of the FP7-funded project ITSSOIN , which we attended, was to present intermediary results on the way it was seeking to investigating the impact of the Third Sector and civic engagement on society (going beyond their economic benefits or the natural virtue of caring for others). 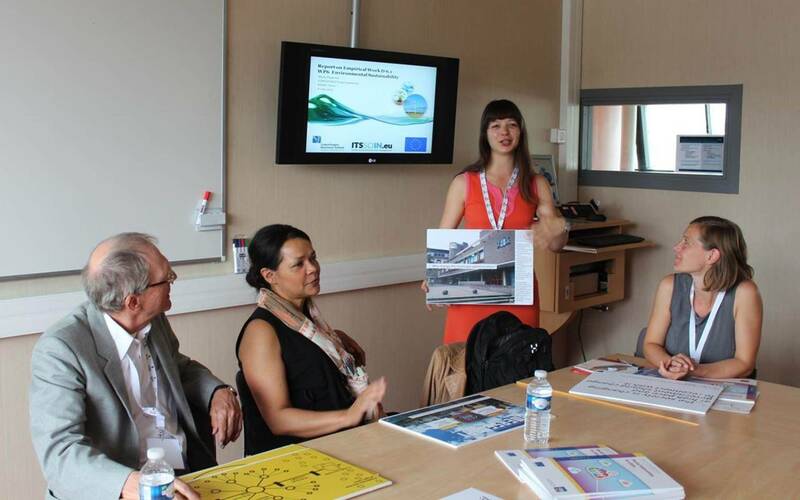 A good occasion for us to share on our URBACT recent work! This is what we did during the workshop on environmental sustainability in cities. We made a new version of our Living exhibition: we added some new panels on methodology. This time, we were all sitting around a table which allowed spreading around the boards and for participants to more easily access all of them. They were also more accessible for reference in the discussion following the presentation. The ITSSOIN WP on “environmental sustainability in cities” is focusing on social innovation as an end rather than a mean, which is one of the key aspects of our URBACT work. The approaches are complementary and could be reinforced. More than ever, we are looking at the collective dimension of what is happening in cities. As such, the proposed cases to be investigated in the ITSSOIN WP will stress the importance of organisation as well as Bruno Latour’s conceptualized translation of innovation. To some extent, this relates to our conceptualization of ecosystems and platforms for the emergence, spread and stabilization of social innovation. Too often, sustainability is focusing on environmental or economic aspects. Following Sean Safford’s brilliant presentation we agreed for our common works on the importance to stress the conversation in order to promote social innovation and enable social change. Only then, the third or plural sector can foster intersection, creation of socially supporting network and spread of ideas. Case studies are crucial in order to identify what actually happens and not what ought to happen. Both the light cases and the in-depth case studies of our URBACT work have shed light into the methodological approach to this, as well as the need to be concrete and show outcomes which can be inspiring for further research and action. We are happy to have received the opportunity to exchange in depth on this WP as well as to learn from the overview of the current state of volunteering in Europe and first insights on the impact of social innovation in society. We are always looking for new opportunity for such exchanges, therefore do not hesitate to contact us if you have any suggestions or proposals!